At the 12-month point of the 24-month term, a customer can opt to upgrade to another Volvo product, and in doing so reset the two-year term. 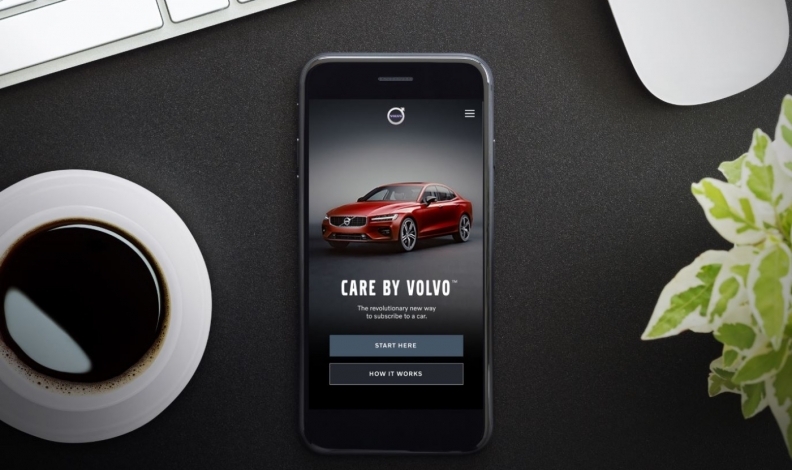 Care by Volvo, the brand’s subscription service, is now available in Canada after its website underwent a soft launch on Oct. 16. The service allows users to pay a flat monthly fee, which is consistent across Canada, for the use of a Volvo vehicle for 24 months driving up to 15,000 miles per year. The fee, which requires a $500 deposit, includes factory-scheduled maintenance, wear and tear protection, 24-7 Volvo Concierge, roadside assistance, and -- in an offering that’s unique to Canada -- an included set of winter tires as well as all required tire change service. Although insurance is included in the monthly fee in the U.S. market, it will not be offered in Canada. Investigating whether it would be possible to offer fairly standard insurance rates was much of the reason for the program's later launch in Canada, but Volvo instead decided to focus on offering consistent pricing from coast to coast. At the 12-month point of the 24-month term, a customer can opt to upgrade to another Volvo product, and in doing so reset the two-year term. The contract is binding and not transferable. Volvo says that ordering a vehicle takes less than 10 minutes from a smartphone, and once ready it can be picked up at the dealership of the customer’s choice. Delivery is not yet being offered but is being considered as a future value-add. At launch, four vehicle configurations will be available. They include the 2020 Volvo S60 sedan in Momentum trim with the Momentum Plus package or in R-Design trim, and the same two trims in the V60 wagon. Both Momentum models are priced at $949 per month, and the R-Design units are $1,049 per month. Customers can select from the full list of exterior colors and from two interior colors on Momentum -- the R-Design already comes only with a single interior -- but can make no other adjustments. “You will not be able to choose, but we will equip them really well,” Alex Lvovich, managing director of Volvo Car Canada, explained at a media launch event in Santa Monica, California. Other products will become available as the program expands, but the exact vehicles that will be offered and a timeline for their addition has not yet been announced. In the United States, the program was popular enough that the company decided to cap subscription sales at 10 to 15 percent despite the fact that more than 90 percent of the customers it drew were conquests for the brand. Lvovich said that Canada does not intend to cap subscription sales. He said that there was some reticence among dealers to the idea of a subscription service, but he believes that the network is now on board with the change. “I think we'll have a really good level of understanding what the dealers that that's what the marketplace expects and demands right now,” Lvovich said. “I think the dealers understand that this is the way of present and the future. They are a completely integral part of this process. “We've made it extremely clear for them that launching subscription is not an attempt to replace retailers -- it's to attempt to service customers in the way that they’ve been wanting. The ordering system is operational now, and deliveries to customers will begin in January 2019.